Dr.S.Noorul Amin Shahid is one the of the very few doctors with dual qualifications in two rare complimenting specialties - post-graduation in Physical Medicine & Rehabilitation from Madras Medical College and Sports & Exercise Medicine from University of Bath, UK which is one of the leading University in Sports sciences in United Kingdom. He has more than 13 years of post graduate teaching experience. Earlier as Assistant professor in the department of Arthroscopy and Sports Medicine at Sri Ramachandra Medical College & Research Institute and later as teaching faculty in Physical Medicine at Coimbatore Medical College Government Hospital, Coimbatore. He was working as Associate Professor in Physical Medicine at the time when he joined our Royal Care Super Specialty Hospital team. He has more than 20 years of rich experience in treating and rehabilitating spine and musculoskeletal pain conditions. He had travelled to various countries for enriching his medical knowledge and worked in different government and corporate hospitals in India and middle-east countries. He also underwent Sports Medicine training at the Olympic medical center, Harrow, United Kingdom. He delivered numerous lectures and presented papers in various national and international conferences, seminars and imparted practical knowledge in workshops. He is also appointed as examiner in Rehabilitation Medicine by the Tamilnadu Dr.MGR Medical University for the past 13 years. He had recently conducted a symposium on “The integrated model of Rehabilitation for the patients with Duchenne Muscular Dystrophy” on June 30 th 2018 which was widely appreciated. 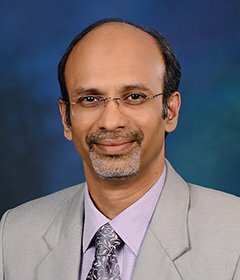 Dr.Noorul Amin Shahid has built a reputation for himself in his field of practice over the past 13 years in Coimbatore. He is always patient and meticulous in approach to patient’s problems. His wide knowledge and wisdom has many times helped in diagnosing complicated medical conditions that were undiagnosed for long time. His holistic approach had helped to treat thousands of patients searching for a safe, non-invasive and effective solution for their pain problems. He incorporates the latest technology in treatment along with the old age wisdom of acupuncture and manual therapies appropriately to find a satisfying solution for pain. With his strong knowledge of body biomechanics, he has helped many hundred patients in finding and correcting the underlying cause for Musculo-skeletal pain. He is well known among the athletes and sports persons of Coimbatore region for his effective exercise program that helps to get them back in action. He also has a special interest in RSI (Repetitive Stress Injuries) in computer users and is much sought after by the corporate houses for giving programs on Ergonomic awareness and prevention of musculo-skeletal pain among computer professionals. He has been to hundreds of rural camps for the differently abled in which thousands of differently abled patients were benefitted by his contribution to their welfare. He had been the honorary Physician of the Paralympics sports Association of Coimbatore. He had been the Panel member in Lok adalat for almost 10 years in Coimbatore District courts. He and his team won the best poster award at the recently held World Congress for Neuro rehabilitation on 10 th February 2018 at Mumbai.